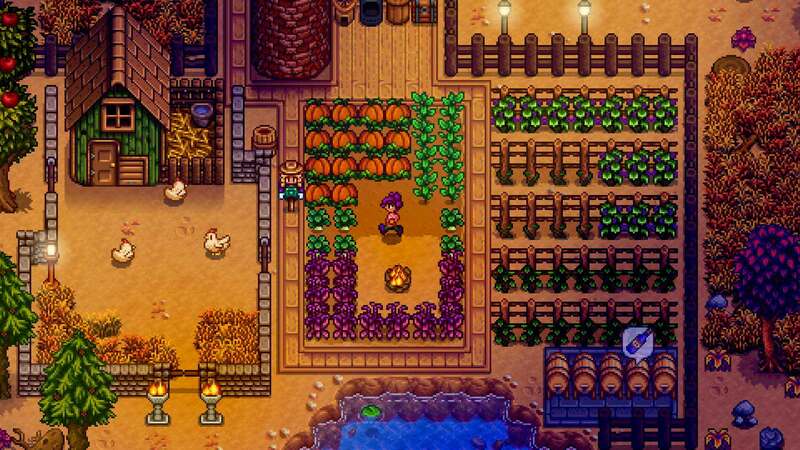 Nintendo Switch owners have several new eShop titles to peruse through, and the group is headlined by indie favorite Stardew Valley. Including the charming farm simulator, there are eight new games coming to the Switch this week. Developer Chucklefish surprised us earlier this week by revealing Stardew Valley is coming to the Switch today, October 5th. The Harvest Moon-inspired farming sim allows players to create a character, grow crops, build relationships, fight monsters in the mines, and uncover the area’s secrets. It costs $14.99 on the Nintendo Switch eShop. Look out for our impressions from the Switch version of Stardew Valley soon. If you’re looking for something more fast-paced, check out Thomas Happ Games’ action-adventure platformer Axiom Verge. After a lab accident, a scientist awakens in a mysterious, alien world where they must fight biomechanoid constructs and use glitches to corrupt foes and solve puzzles in the environment. Get it on the eShop for $19.99. Also out on the Switch today is side-scrolling sea monster shooter Earth Atlantis ($19.99), action-puzzle party game Tumblestone ($11.99), action platformer with hand-made pixel animation Volgarr the Viking, multiplayer arcade fighter Ninja Shodown ($14.95), and the week’s obligatory NEOGEO title, Metal Slug X ($7.99). The week’s final new game that releases tomorrow, October 6th, is supernatural thriller OXENFREE, which begins as you unwittingly open a ghostly gate and release ominous creatures into your world. Each decision will shape your relationships and the game’s story as well as unravel the island’s several mysteries. Download it from the eShop tomorrow for $19.99. That’s it for the week’s new Nintendo Switch eShop releases. What game are you most looking forward to trying out? Let us know in the comments below.